These apps are particularly important to be on top of the job offers since they are easy to scan it through and you can save the offers to apply later when you get the hold of your computer. I personally think it is still better to fill all the job requirements (text for the email, upload cv, and cover letter) with a laptop than with a phone or tablet, but these apps save you some time when it comes to browse for new job opportunities. This app is too obvious to be on this list, that I think I almost didn’t need to mention it. This is the number one platform to look for jobs nowadays, the social network for business. The second app on my list is Indeed. There are quite many good features on this app, and it’s quite useful if you are looking for jobs worldwide since you can select a wide range of countries for your job search. 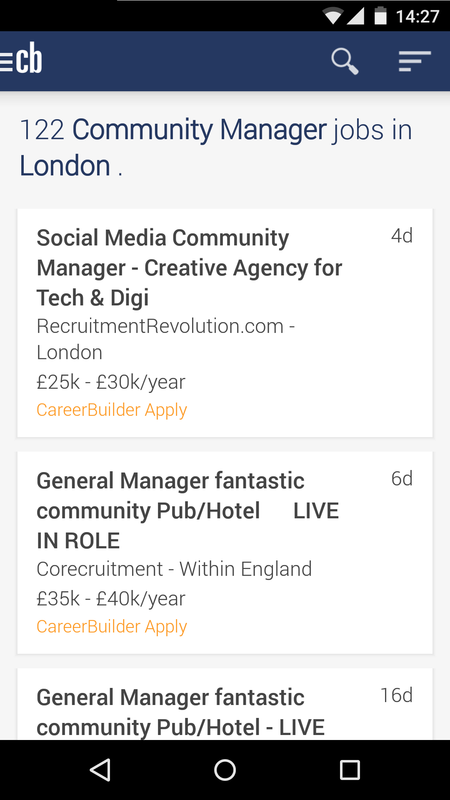 This app is especially useful because it aggregates jobs from many different websites so there’s always a wide range of job offers that you can save to apply later. Although some offers allow you to apply directly from your phone or tablet. A must have app. Monster as it implies on its name is a monster to find jobs. It’s a huge database for jobs and there thousands of jobs being upload everyday. This platform allows you to create your CV on their editor and makes it easier for employers to find you based on your CV’s keywords. It is also useful to look for jobs worldwide. In this platform is highly recommended that you work out well the keywords that best suit your skills and experience since it’s one of the features used by employers to search for employees. Careerbuilder is another immense platform to look for jobs worldwide. A very well designed app that allows to upload your CV to be searched by employers. Like the previous ones you can specify your search for different countries. 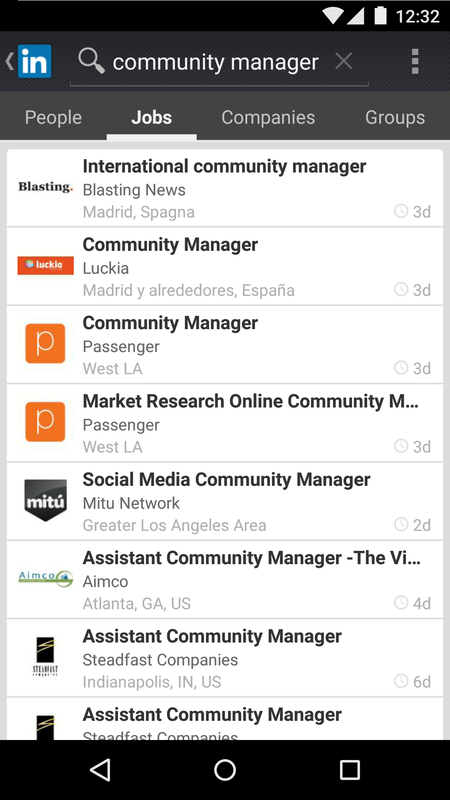 This apps keeps a record of the jobs you’ve applied for and has also an interesting feature of Recommend jobs based on the jobs you have applied before. 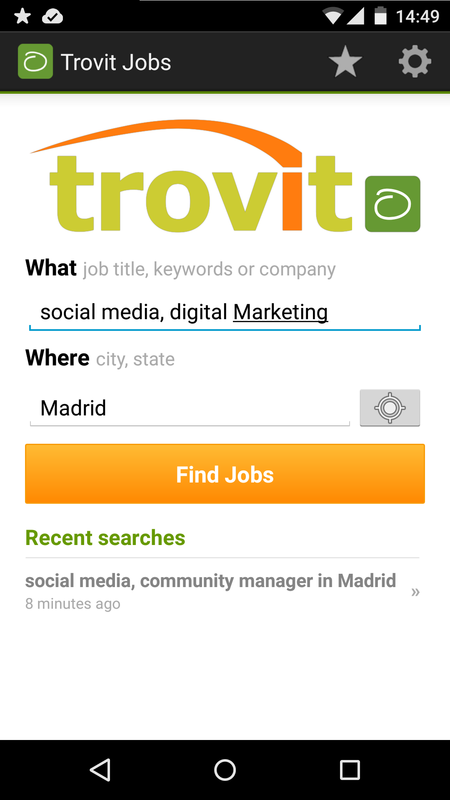 Trovit is a powerful search engine for quite a few things like jobs, houses, products, cars and rentals. You can introduce your keywords for the your industry or specific job you’re looking for and you will have a handful of offers that have been uploaded in other websites. Its a good platform to browse for jobs or other websites where employers are uploading offers. 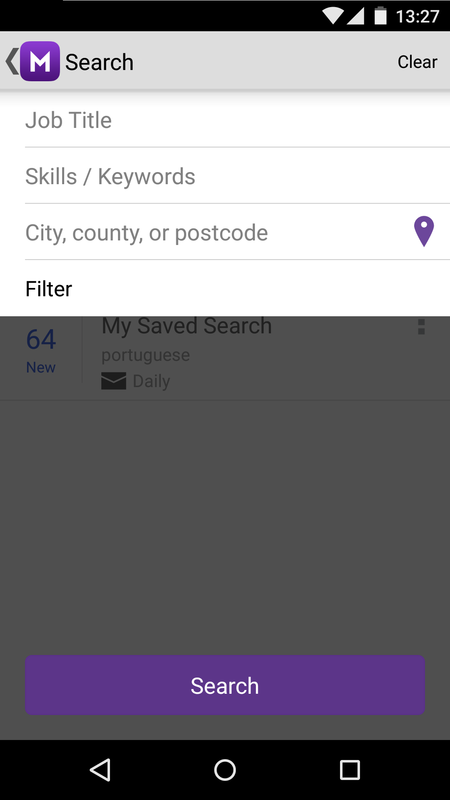 I quite like the fact that the app’s search engine works very well when you introduce a few combined keywords when you are doing your search. The downside of this app is that there’s a lot of adds and the app itself is not very attractive when it comes to the User Experience and the design itself. 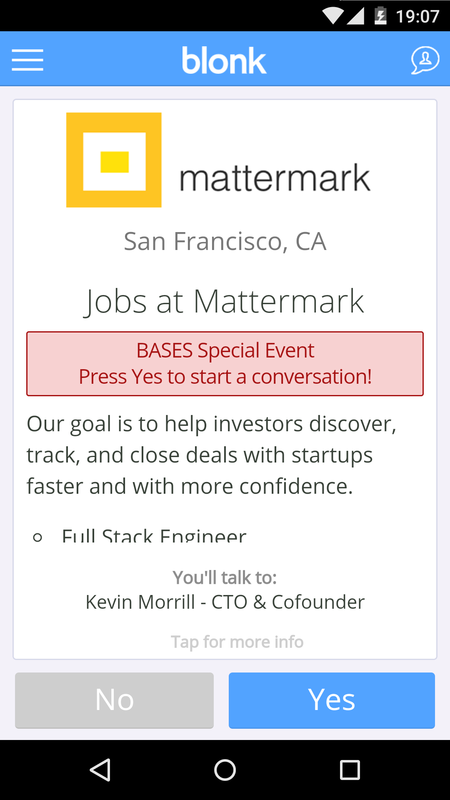 On the plus side you can create alerts for the jobs you’re looking for based on keywords. These two apps are made by two start up companies and a are creating a bit of buzz on the job hunting apps business. These two apps are not quite there yet, but they are adding something new and interesting and should be followed on the upcoming months. Weave is the Tinder alike app. Tider is a dating app that became widely known this year for many reasons. With Tinder you swype left if you don’t the boy or the girl that is shown to you, or right if you like it. If both swiped right, it´s a match and you can start talking with each other. Weave works in the same way, if you see someone who you think it might be good to connect with, you swipe right. At the moment not many people have an account on Weave which makes it a bit difficult to work properly, since its mainly a networking app, but it might have an interesting future ahead. Keep an eye on it. This app has a beautiful design and it seems to be really well made and structured. 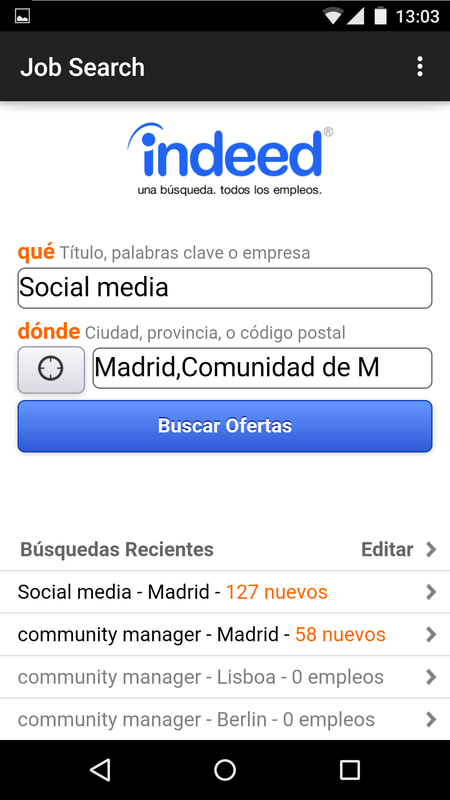 You need to update your profile on the app, meaning that you can´t upload your CV and by now I can only find American companies posting offers. The interesting feature is that your have the chance to talk directly with the person who uploaded the job offer, meaning that you may be talking with the Company´s CEO of HR manager. 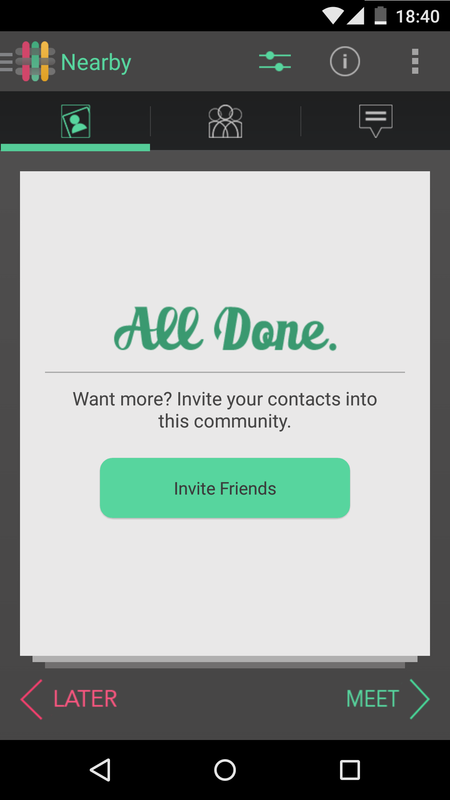 I found this concept really neat, although it might be difficult that this feature could be applied to more mainstream companies, and it seems to be working better for smaller companies on a niche market. However, there´s a lot of potential on this app and lets hope that more companies in Europe start to join Blonk to advertise their jobs offers. 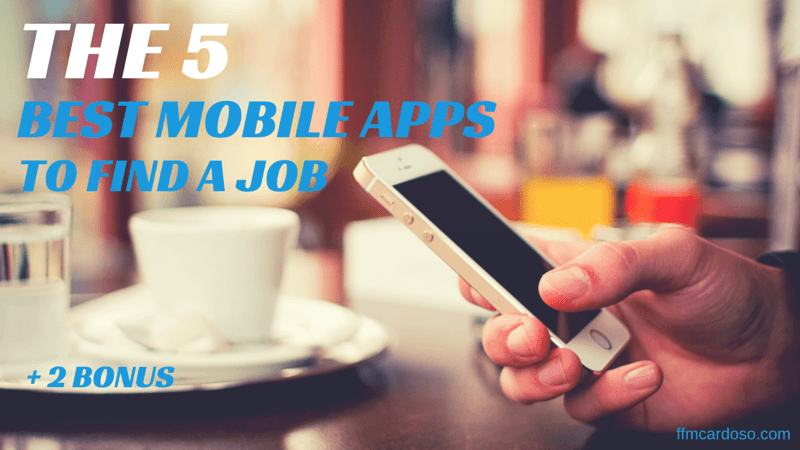 Job hunting can be quite draining, but all of these well made apps make it less painful. I found the bonus apps quite interesting to play around and I think they can become a good success in a near future. From the more classic ones I personally love Indeed, you can always find tons of offers and the design and User Experience have improved a lot with the last updates. A must have. Have you found a job with a mobile app? Do you have more that you can recommend? Let me know what you think about these ones. Muy bueno tu post, además muy útil en esta época tan difícil para encontrar trabajo. Es una ayuda más que ofreces a tus lectores y eso es siempre bienvenido. Algunas de esas apps ni las conocía así que voy a quedarme con alguna por si acaso… Un post escaneable y bien estructurado, enhorabuena crack, lo comparto!! Bueno eso ya te posicionará en lo más alto! me quedo esperando a ver que sorpresa nos dás!!!! Información de gran utilidad, ¡buen post! Probaré alguna a ver que tal thankss! Obrigada! Já tenho as apps instaladas e vou começar a luta!! ¡Excelente post! Desconocía varias de estas apps así que ya puse a descargar unas dos para empezar a probarlas. Este artículo será compartido my fren 🙂 saludos.